Flowers are a simple and beautiful way to pay your respects to a loved one or friend. We are able to take orders for flowers through our office. 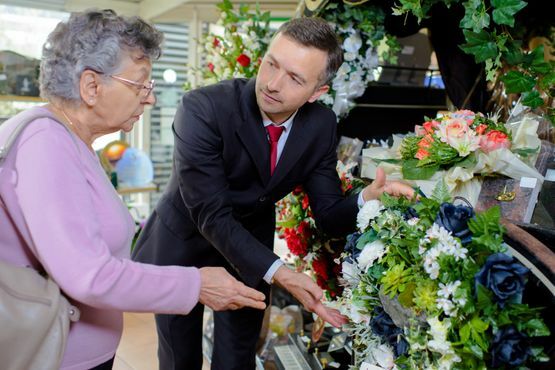 We will then discuss your requirements with our excellent florist partner who will ensure your tributes are delivered to our offices in time for the funeral with nothing more for you to worry about. We have a wide selection of funeral flowers available. If you would like to learn more about our beautiful range of floral tributes and other funeral services, please do not hesitate to get in contact with one of our members of staff at any of our locations who will be more than happy to assist you with any queries you may have.